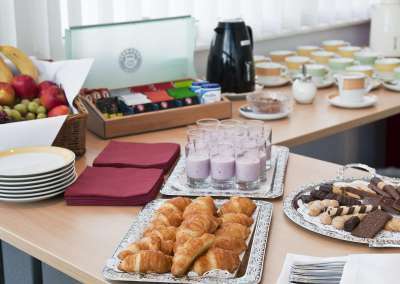 You’re looking for a conference location which combines modern infrastructure and great accommodation with a unique ambiance? Then you are exactly right at the ibis Dresden Zentrum. Central, in close proximity to the central train station, and only a few minutes walk from Dresden’s attractions. Hold conferences over the roofs of Dresden. This means you can hold conferences on our roof-top rooms and garden. 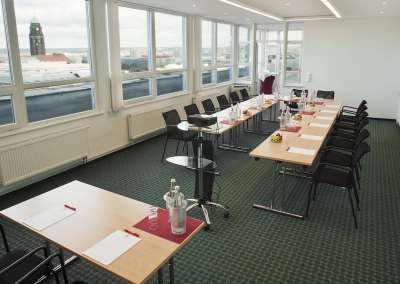 The conference rooms offer you perfect conditions. High above the daily hustle and bustle, you can now hold efficient and goal oriented meetings. Snacks and drinks are also provided of course. Request your individual offer now. In two variable conference rooms, there is space in each available for up to 30 participants. 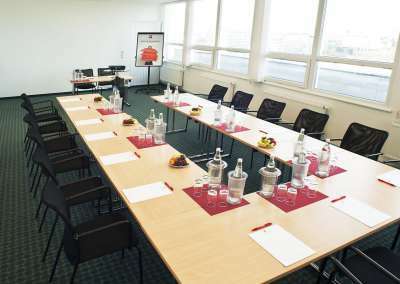 The naturally lit conference rooms offer enough space for all kinds of meetings and conferences.